Tarun Gupta May 10th, 2013 Web Hosting no comments. On a number of occasions I have gone through numerous valid discussions to find out which one between dedicated servers and VPS is more useful and rational. Here and again I reinstate my situation and affirm that either of two are perfectly balanced as per the resource demands and business needs. It simply depends upon the user retirements and an individual business expansion plan. I have already placed my comprehensive analytical view on how to buy a dedicated server. This time VPS server buying guidelines are under the scanner. If you are headed to have affordable yet robust hosting solution, VPS is a complete package you can rely on. Let's talk about various basic guidelines to ensure that you are buying the right stuff. While buying a VPS plan a buyer has a number of things in mind. Being a buyer it is a normal thought process. However, there are a few things that you should consider on the top priority. Come and discuss the primary factor. A service provider that commits a perfect set of service ensures 99.99% uptime guarantee at first place. For a newbie, server uptime ensures an inclusive availability of websites on the server and their uninterrupted delivery to the consumers. This is most important responsibility of a best web hosting services provider is that the servers are up and running without a slight interruption. A slight server interruption can lead to the downtime of all hosted and associated services such as website, email, FTP access, etc. Having an easy management tool is mandatory for the users who subscribe the VPS hosting plans. Control panels therefore come as a big rescue. There are two primary control panels available in the market with a number of utilities and user engagement features. These are namely cPanel and Plesk. You can choose either of them as they have their own advantages with a particular virtual private server plan. Both of the two control panels are ideally equipped with a number of highly reliable management and administrative tools for the users. Some experts believe that cPanel offers more robust control panel features than the Plesk. In contrary, you take your considerations and business requirements in mind and go for the one that suits better. While purchasing the plan, make sure that provider addresses the utmost VPS host security. It is very necessary to check whether the provider confirms the service with proper security checks and a core security mechanism. Check whether or not the VPS dedicated server provider tackles the security issues in a competent manner. An ideal server is equipped with SSL (Secured Socket Layer) Certificates to scrutinize the whole transaction process done on a website. It's also very indispensable to check if the hosting provider offers 24x7 server monitoring for your VPS account. Proper VPS protection and server monitoring is helpful in preventing security breach and other attacks. Most of the hosting service providers communicate their pledge to offer 24x7 technical and customer support to the subscribers. A good VPS provider tenders multiple channel customer support with various communication modes such as phone, fax, e-mail and IVR. VPS hosts provide excellent round the clock ticket response to the clients to let the queries resolved on asap basis. That is why ensure that your provider offers you maximum response time in case of the need. While subscribing the VPS hosting service ask your provider the type of hosting he provides. A host has two types of VPS plans namely Managed Server Plans or Unmanaged Server Plans. One choose either of two depending on their needs, budgets and business capacity. Take time to define whether you need a managed server or unmanaged server. Having a managed server, you can push your provider to take care of all the major activities beginning from installation to security. In unmanaged service you don't have access of some said services. 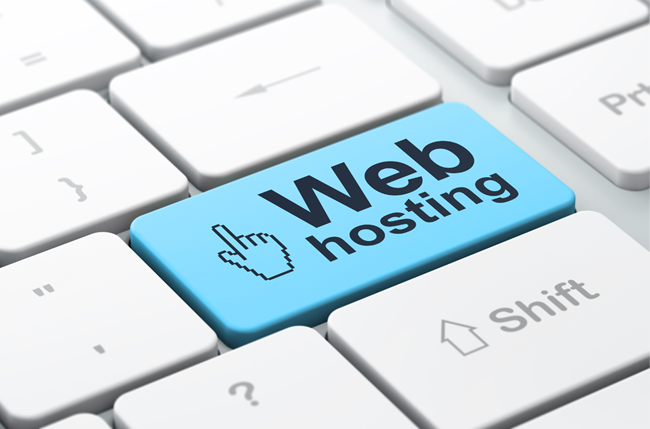 A standard web hosting plan offers a number of consolidated features to the buyers in a good price. These are the standard set of services however available with almost every plan. You should after all check the list of the services you are getting with a plan. A standard plan includes features such as MYSQL databases, PHP support, several free domain, e-commerce features and others as well. Some other companies also offer free bandwidth, email addresses and FTP support as well. You also get the same wit your hosting plan but cross-checking the deal isn't a bad idea either. This is probably the most convenient manner to choose an experienced host for your service. Go to your favorite search engine and search the reviews about the service provider (s) you have shortlisted. Only an existing customer can convey you the pros and cons of hiring a particular provider. You may also participate in various web hosting forums to discuss a suitable VPS plan. Dedicated Hosting vs Shared Hosting: Which One To Choose and Why ?